Fun Days are great for the whole family to enjoy & John can supply a variety of entertainment for the whole family. 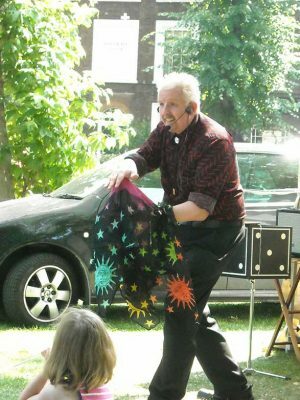 He can perform Children's Magic Shows, which cater for mixed age groups. Also John can perform Mix & Mingle Close-Up Magic, with Balloon Modelling. He can do this in character, if desired. 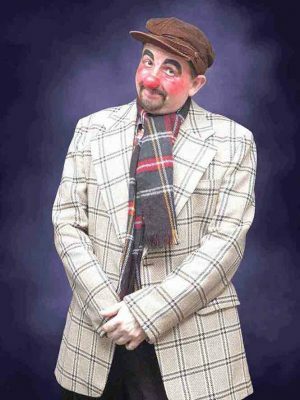 One of the popular characters John performs as, is The Cockney Spiv. He will amaze his audience with close-up magic, performed in the style of an old time London street Hustler. He even uses his own Cockney Spiv One Pound Notes, for the spectators to bet with. These can be given out to the public with the client's details on the back. GOOD PUBLICITY! also performs mix & mingle magic + balloons.